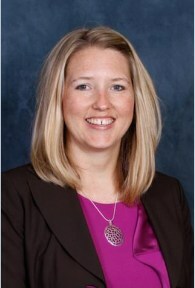 Jennifer Daugherty- Jennifer Daugherty is the Head of School of Colorado Springs Early Colleges. Mrs. Daugherty served as the Academic Dean for two years prior to becoming Head of School. She has a passion for education reform and teacher coaching as well as a commitment to student success. She has worked with charter schools for the past 14 years where she has gained valuable experience in leadership, curriculum development, and effective teaching methods. She has also worked as a Curriculum and Assessment Consultant for Harrison District 2 and as a PRAXIS grader for Social Studies teacher candidates. She has been committed to fostering an inclusive learning and social environment within the high school to ensure that students feel valued and to encourage genuine relationships between peers. She earned her BA in Social Sciences and her M.Ed in Curriculum and Instruction from the University of West Florida while her husband was serving in the Navy. With the support of her incredible husband and three amazing daughters she feels blessed to be a part of the CSEC family.